Thanks for all your work in KDE, it really matters! I have accidentally found your blog several weeks ago and subscribed. And I wanted to additionally thank you for proposing mentor help to become kde developer. 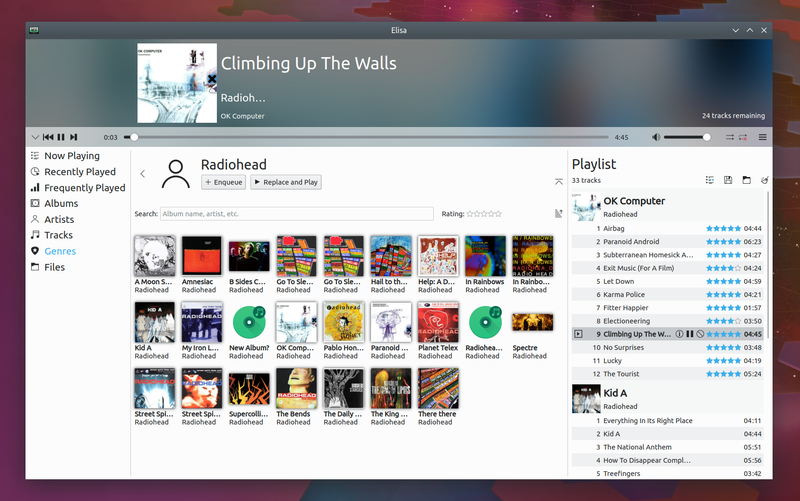 I hope I will improve kde also, after I learn some materials. Same for me, i really want to aport to KDE software, after i will learn pretty well C++, Qt, CMake and a few more technologies. He is really something, i really think he is changing the way KDE is perceived, in a really good way, so a lot of people can feel motivated and propose to themselves follow his steps, so their hobbies can become their jobs and be a part of something that really matters. He is helping and offering his help and time to help newbies as us to become developers for KDE and greeting us really nicely. It is a great effort to improve KDE and the Community, after all, the more people gets involved, better software for all we can achieve. Changing little things in the code doesn’t require much knowledge either! Please do! If you haven’t yet checked out https://community.kde.org/Get_Involved, that’s a good place to start. Ability to open file://links always good. I used to use the mouse dragging a lot. “Fish shell scripts syntax highlighting” – yes, please! Your words left me really shocked with the comment below the Elisa screenshot. I really feel like it would be nice to have a real serious alternative to VLC (which also uses Qt of course), from KDE (Dragon Player is almost dead i’m afraid, so it is quite difficult to use another Qt multimedia player (i really prefer to unify that both software, the one for music & the one for video into just one program), but looks nice the improvements. 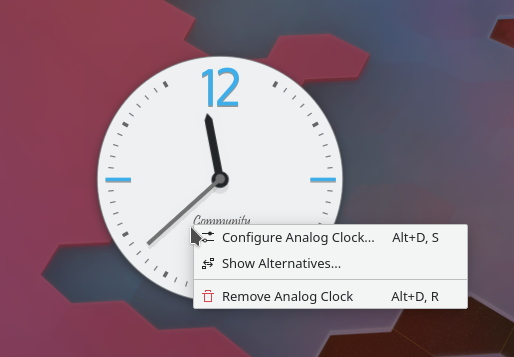 Thanks as always to Nate and everyone else at the KDE Community who made all this possible. Every week this posts give me a portion of joy, more motivation and conviction that my true goal is to become a KDE Community member, developing i mean. Bests to all mentioned above ^^. Yeah, very happy, many fixes that will improve my daily use. Big thanks (again & again) ! For some reason, elisa doesnt display cover images with the song. Filed a bug but no solution was found. Can’t find the bug report. Bug still persists. Should i file it again? I tried a lot of things before I realized that Elisa displays folder.jpg files in the folder, .jpeg or tagged images won’t work. So put a folder.jpg in the folder and that’s all. There’s been a lot of work done on this lately, and most of it relies on supporting infrastructure in KDE Frameworks 5.57 or later. If you’re using an older version, that would be why. If you’re using 5.57 or git master already and still see missing album art, then yes, please file a bug. Yes! Thank you all so much! Did you check *all* apps? Don’t you think that it’s a bit too much of a generalisation? The statement holds true only if the app in question is only reading that directory contents. However, an app may actually want to populate that empty directory. Why even fix what’s not broken? Can you provide an example of an app in which it would be useful to open an empty directory? My sense is that the kind of actions you’re thinking of (for example, “Open with root permissions”) are already better accommodated with plugins. > Can you provide an example of an app in which it would be useful to open an empty directory? We’re using a daemon which automatically collects data from sensors and stores that data into files inside an automatically created directory. There’s also a GUI app which monitors that directory, parses the data as it goes, filters it and shows the graphs. So I usually just open that directory in the app instead of selecting it from within the app, and the directory is often still empty by then. But it could be any monitoring app, like an inotify GUI, a dir watching automation app or some downloader app, which will use that directory as a download folder. I also need to search for some code in a git repo every once in a while. So I run ‘git clone …’ and while it is fetching I do Open with… -> KFind on that directory, which is almost always still ’empty’ by then. I see that I can still go up and Open with… on that (still empty) subdirectory. It just seems a bit inconsistent and counter-intuitive to me. The main question is: why remove it at all? If a user wants to Open with… an empty directory, then let him do this. It’s up to him to decide when it’s useful, and I don’t think one can preemptively say that there are no and never ever will be any useful scenarios for that. Well the problem is that for the common case, it’s useless and annoying. For niche use cases like yours, I can see how it would be useful though. Can we continue this conversation on https://phabricator.kde.org/D20396? It’s easier to track it in one place rather than on random blog post comments. It would be nice if webdav would work again without asking me all the time the same stupid question if I’m sure to connect with my user name even if it is not required, this really breaks the integration of KDE with nextcloud. I would love to see the Plasma application menus improved, all of them look outdated and suboptimal. Is it true the news about the EGLStreams Nvidia integration in their driver so to make available wayalnd for Nvidia users too since KDe PLASMA 5.16 ? Many thanks. So will it be possible to enable wayland by Nvidia drivers or not? I tested Wayland recently and was pleasantly surprised. Till now, all my wayland sessions were showing massive issues that lead to a desktop (plasmashell or the whole wayland) crash, memory leak or other serious effects that usually ended with a forced reboot. This time, it just worked (on intel drivers), no surprises within 2 hours on it. Sure, the RAM usage is higher, there are no global menus (a requirement for me to use or test wayland for a longer time and then be involved in development by reporting bugs) a keyboard locale switcher has no language icon (only some generic icon) but in overall it was almost usable. With nvidia support, it will be even better. For example, I noticed that the overview effect stutters on X session (not sure if that is a bug on my end or a general one, hasn’t tested it so haven’t reported it yet) when a window is closed. On Wayland – overview effect is so smooth! No stuttering, just like it should be! So I’m awaiting eagerly news from wayland camp. Impressive set of enhancements as every week. Thank you! On another topic: is it possible for you to make any developer aware of the bug #372586 (“Plasma panel covers windows when a second monitor is added”)? It’s almost two years since I reported it and still 100% reproducible and anoying. I’m totally avalilable for helping to diagnose, testing, debugs, etc. But after two years without any single answer I’m starting to feel really frustrated. That does sound frustrating. Have you considered digging into the code to try to figure out what might be going on? I’ve tried to understand the code but graphic stack is not my area of expertise. Besides, my C++ knowledge is minimal (I’m working mainly with Python and Bash). Hi Nate. 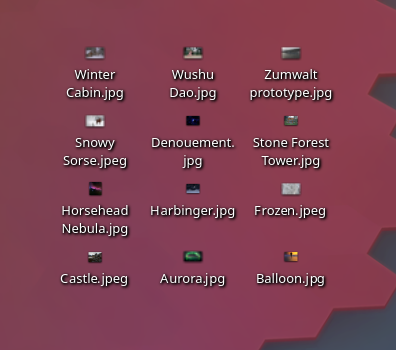 I noted any time ago that changing the main two desktop icons of Home & Trash to white stylized icons, Trash Icon doesn’t change if not deleting files, also if repeating many times the same change. This is an intermittent bug. I’ve seen it in the past, but can’t reproduce it right now. If you delete your desktop trash icon, and recreate it by dragging the trash in the places panel onto the desktop, does it update its icon again when you put things in it and empty it? Used KDE since the K(ool) pre 1.0 days (just aged myself) – then abandoned it in the 4.x era. Since being wildly unenthusiastic with where Gnome has been heading past few years, I decided to see where KDE is at with the release cycle of Kubuntu 18.04 and Plasma 5.12.x…. THANK YOU ! 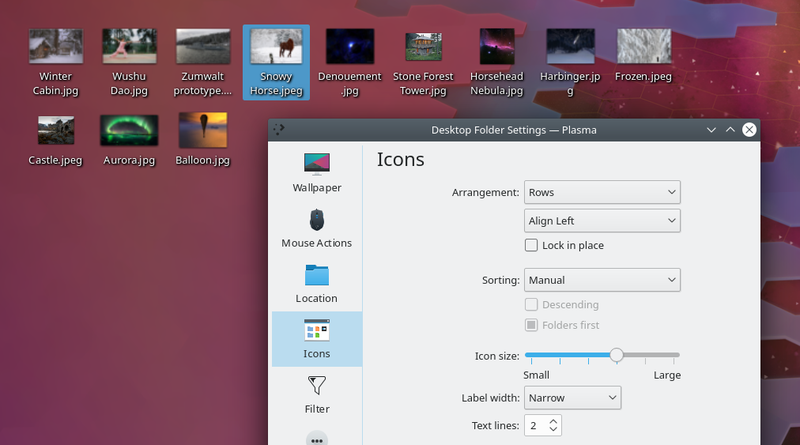 I’ve been back on KDE on all my systems now since this massive change, currently on Kubuntu 19.04 and Manjaro. Strangely I still see so many blogs and vids about KDE being a resource hog, yet every single installation I do is roughly 50% less resources out-of-box than a similar Gnome desktop. Art any rate, thank you so much for everything you do !